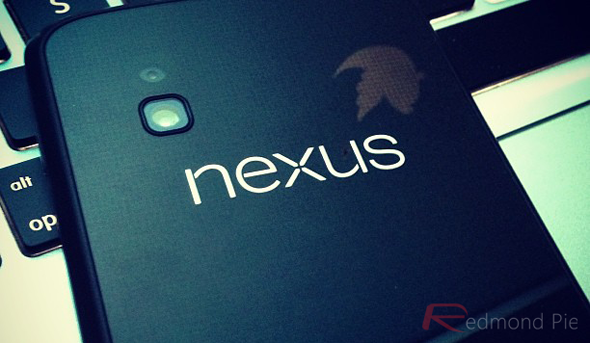 Reports pertaining to the LG-manufactured Google Nexus 5 have been around for many weeks now, and with Google Executive Vic Gondutra having already promised that future Nexus devices would deliver "insanely great" camera performance, we may now have even better insight into how exactly Google plans to achieve this. PhoneArena has received a tip suggesting the Nexus 5‘s camera module could feature a “triple camera sensor” alongside some Nikon branding. More details after the jump. The tipster, who naturally wished to remain anonymous, noted that the camera would be the device’s main selling point, and having seen HTC latch onto the Beats branding with its range of handsets, it seems Google wants another well-established big name aboard its flagship mobile range. Every Nexus device hitherto has delivered a near-high-end experience for a mid-range price point, yet while the processors and operating systems have been up to scratch, the Nexus range has struggled in the camera department. With the likes of Instagram now extremely popular, consumers are looking more and more at a snapper’s performance before making a decision regarding a new handset, and with such a big, reputable name on board, there would be an even wider commercial appeal with the Nexus 5 and beyond. At this point, it’s only a rumor, but with Nikon’s point-and-shoot Coolpix S800c having seen the camera specialist team up with Google (it did run on Android, after all), it’s not as though the two companies are unfamiliar with each other. We’ve already seen the lengths vendors like HTC and Samsung have gone to improve the camera technologies within their respective flagships, and with Google clearly taking steps to ensure it brings something better to the table this time around, 2013 could be the most significant leap in smartphone camera standards we’ve seen in recent years. The tipster didn’t stop at explaining the camera, though. As well as Android 5.0, he believes the device will pack a 5-inch 1080p display, Snapdragon 600 processor, 2GB of RAM, 8 or 16GB of storage, as well as a whopping 3,140 mAh battery. As a side note, it’s good to see Nikon embracing modern mobile technologies. The way things are going, it’s not far-fetched to suggest smartphones may deem standalone, DSLR cameras obsolete at some point in the near future, but by teaming up with Google, is affording itself some kind of insurance policy.